Griferia Sanitario (M) Sdn Bhd, incorporated in 2006 and a member of Unimech Group Berhad (UGB) was set-up to market and promote SANITARIO products brand. Griferia Sanitario diversity of products and powerful portfolio of brands lead the way in design, craftsmanship and innovation. Our goal is to exceed the expectations of every client by offering outstanding customer service, flexibility and greater value, thus improving service efficiency. 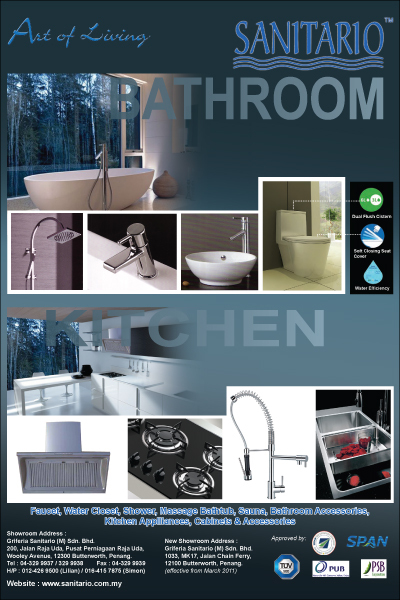 Exceptional product expertise coupled with extensive industry knowledge and product range makes Sanitario the ideal choice for you to create kitchen and bathroom designing.